Join a homeschool support group! It’s helpful to have a network of support as you forge the way through high school. These other homeschooling parents will help you to remember things easily forgotten as well as join with you as your challenge your student in areas of service and career planning. I have leaned heavily on many of my friends as my children have passed through their high school years. We have written letters of recommendation, shared teaching roles, and planned college trips for and with one another. These friends not only have been a help to my family, they have become my dearest friends. 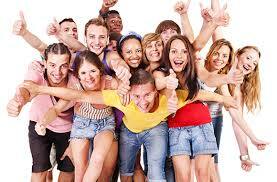 The support group is also a wonderful place to establish a healthy social group of friends for students. Our children worked together on service projects, held leadership positions in the group’s student council, challenged one another to strive to reach goals that seemed beyond their reach, and encouraged one another to continue their education. My children made life-long friendships in our support group – my daughter even married a young man from the group! Senior year these students planned senior picture events, excursions, prom, and graduation together. There is no reason that a homeschooled student need to miss out on anything that is good. Previous High School Homeschooling Tip of the Day (Oct 19th) – sorry it’s so late!